Sapphire comes in the corundum category as well as Ruby. Ruby is red colored and it is called Red Corundum and the Blue Sapphire is called Blue Corundum. The other colors of the Sapphires are called Fancy Sapphire. There are many different colors of Fancy Sapphire but pink, white, orange, purple and yellow are the most popular ones. Kenya, Africa has been famous for the mining of Fancy Sapphire for many years. 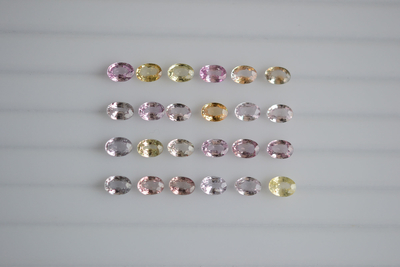 Our Yellow Sapphire, Pink Sapphire and White Sapphire are regularly bought by many buyers. 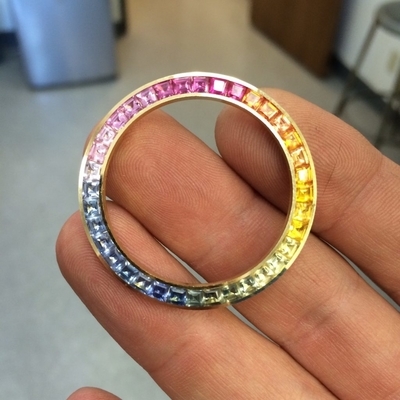 Recently, we created a bangle in Fancy Sapphire in light to vivid color. Yellow Sapphire is a low priced Sapphire as compared to others and Purple and Orange Sapphire top the list. As written above, Yellow Sapphires are low priced in the whole Sapphire group. They come in very small to big size. The best examples are a natural golden in yellow color, which are not easily available or found. Though Sapphire is sourced from Africa, Australia, Thailand, Sri Lanka and in many other countries, there are different colors and clarities of Sapphires from the different mines. Navneet Gems has been a big supplier of Natural Fancy Sapphire stone (heated) in all colors. We are not only supplying the regular faceted cut but also making rose cut which is very famous. 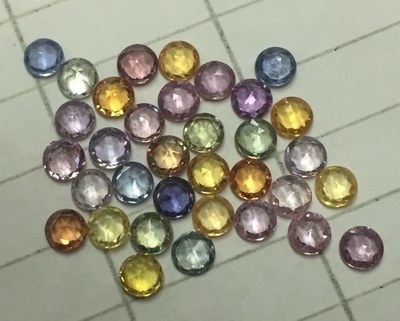 Thailand is the well known hub for Sapphire cutting and polishing and we have run our factory in Thailand for many years. This makes our prices competitive and helps us to stand out from other suppliers. If you have an inquiry about Natural Fancy Sapphire then you can email us at navneet(at)navneetgems(dot)com or you can send us your questions or order through the inquiry form on the Contact Us page.